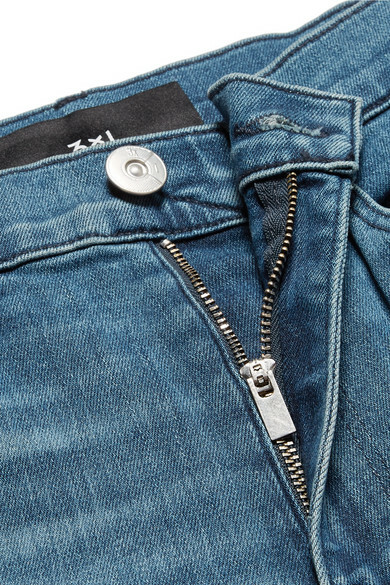 Each pair of 3x1's jeans are handmade at the label's atelier using single needle sewing machines for a unique, bespoke effect. 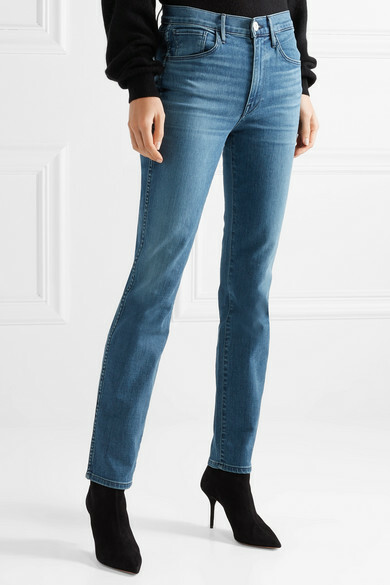 This high-rise 'W3' pair is cut from stretch-denim that hugs your figure without losing its shape, while the straight-leg silhouette is lightly faded and whiskered for a lived-in look. 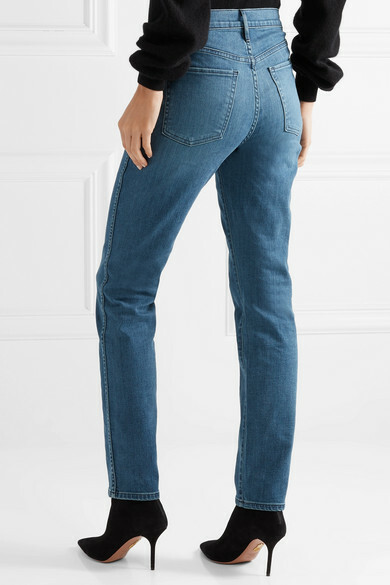 Wear them with pumps and sneakers alike. 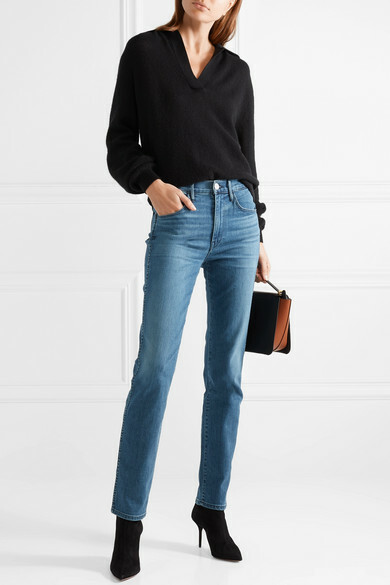 Shown here with: Khaite Sweater, Wandler Shoulder bag, Aquazzura Sock boots.